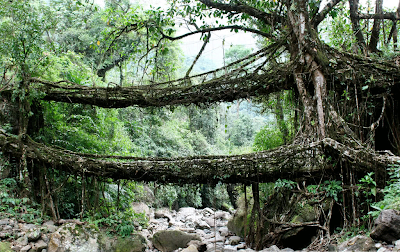 No, that's not some diversity-promoting cliche, but actual bridges that are alive. Check them out here. Getting kids on bikes early is a great way to keep them cycling for life. I got my first big-boy’s bike when I was around five. It had stabilizers (training wheels), solid rubber tires and was a copy of a Raleigh Chopper cruiser. I loved it, I often crashed it, and I painted it a hideous 1970s shade of dark blue. In between than and now I have hardly been without a bicycle. And the QuadraByke would have let me start even younger. It begins as a four-wheeled transport, suitable for any toddler to take for a spin around the yard. 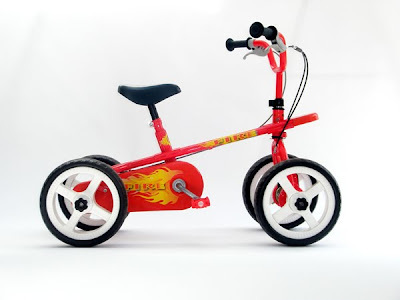 As they grow older and more confident, the kids can remove wheels one at a time, running through a trike and up to a bike. Best of all, they can do it themselves, and without tools, meaning that they not only learn to ride, they learn to tinker, too.